Fun and function meet with this custom printable wine glass holder - perfect for a romantic evening. 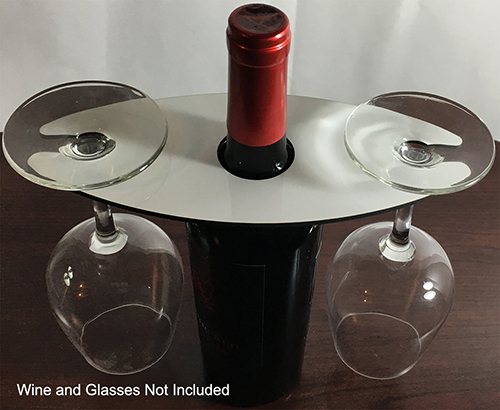 Perfectly cut out to fit over most wine bottle necks and hold 2 wine glasses. Excellent Home Decor piece! Hardboard face can be custom-printed with monogram, design, or any other graphic you desire and measures approximately 8.75" x 4"